Coal heating and natural gas heating plastic pelletizer supplemented by the pattern. Although the electric heating plastic pelletizing machine in the country to be widely promoted, and now the market formed on the plastic pelletizer machine to electric heating based. However,the differences in electricity tariffs across the country, especially in the eastern power shortage areas and the western power abundant areas,the North Thermal Power and the South is particularly obvious differences between hydropower,so in some areas and high electricity tariffs to promote the use of local energy advantages heating plastic granulating machine is particularly necessary. Inner Mongolia, Liaoning,and northern Shanxi to promote coal heating granulator,can combine the advantages of local resources (such as Sichuan, Shaanxi, Xinjiang and other places to promote natural gas heating granulator or other plastic machinery,high output of coal,Shanxi,Inner Mongolia,Reduce energy costs,for users to create more value,to provide product competitiveness. Even the geographical distribution of the types of differences is more obvious,not only the distribution of China’s total energy distribution of regional differences significantly. 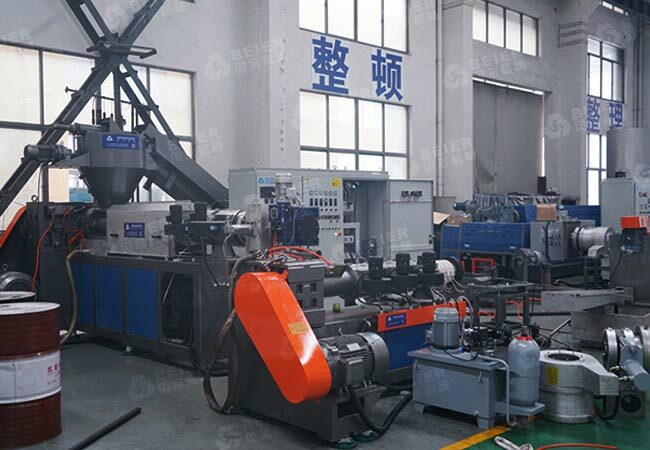 The plastic pelletizing machine,plastic granules and other plastic machinery on the demand for energy is very large,because of the need for high temperature plastic plastics,plastic granulation industry in the cost of energy consumption has become the cost of plastic granulation second only to raw materials,the second largest cost.